By Sein in News on January 5, 2017 . The Philippines, through its Philippine Water Supply Sector Roadmap created by the National Economic and Development Authority (Neda), has aimed to hit the universal water-access target by 2025. Yet, as hopeful as it seems, this goal requires bigger responsibilities. In order to reach this goal, the World Bank Group reports in its 2015 Service Delivery Assessment of the Water Supply and Sanitation in the Philippines: Turning Finance into Services for the Future that the Philippines would need an average of $803 million per year to be spent on water supply to reach the universal water-access target in 2025 and $619 million per year to meet goals on sanitation by 2028. An additional $210 million per year for maintenance and operation for water-access infrastructure and $132 million per year for sanitation. The monetary figures are overwhelming, as the country also addresses problems in many sectors. As per the World Bank Group, the international body says these national goals can only be met if there is a strong political will to mobilize these investments. But beyond these monetary figures, a strong grassroots approach, specifically the movement of people and the demand for clean water, is needed to further push these goals to reality. 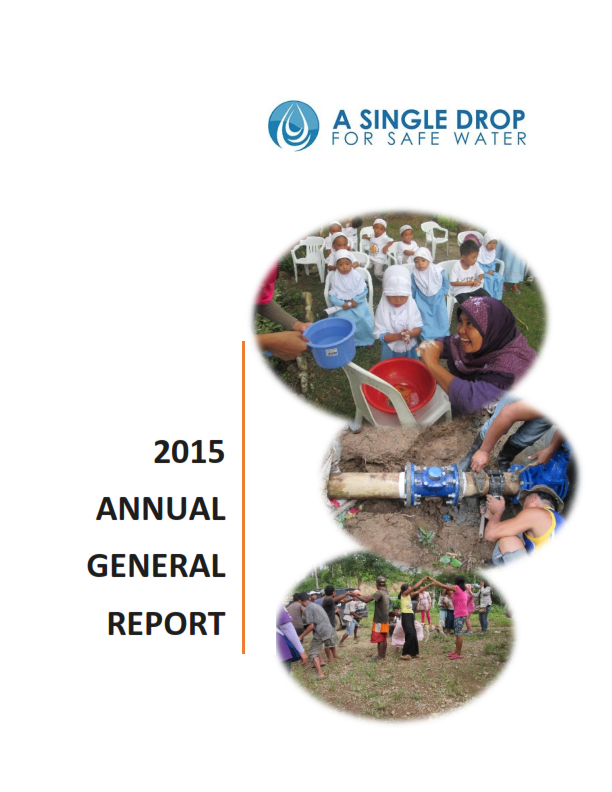 There are a number of organizations that strive to push clean water, sanitation and hygiene to local communities, but unlike any other group, A Single Drop for Safe Water (ASDSW) steps up the game by utilizing the government as the main focal point driving the demand force, hence creating supply of clean water. The need for safe and clean water is a basic right, yet, many are deprived in undeserved rural areas all over the country. Only 5 percent of the current population in the Philippines has proper connections to sewerage systems; over 8 million Filipinos have no access to clean water; and more than 30 million of the population have no access to sanitary toilets. This inspired Kevin Lee, an American brought up and educated in New Zealand and arrived in the Philippines as a Peace Corps volunteer assigned to water and sanitation projects in 2004, to establish the ASDSW in 2006, an organization that aims to strengthen water sanitation and hygiene (WaSH) governance, and collaborate technical capacities with various partners. Lee had a good life in New Zealand. He was born in South Africa by American parents and moved to New Zealand, where he was raised and educated the Kiwi way. Lee then got his mechanical engineering degree and worked in the steel industry before working in the pollution-control industry. “I joined Peace Corps just for a change and came here in February of 2004, and was in Baguio and Nueva Vizcaya for their water and santitation programs,” Lee said in an exclusive interview with the BusinessMirror. The work Lee had in the Philippines, for him, an eye opener. Coming from a heavy-industry background, there was a complete change of career when he arrived in the country, and Lee had the opportunity to serve in a very different field. “When I was working here [in the Philippines], I was starting to understand some of the issues that were impacting water and, santiation development and, then, I was trying to figure out what to do,” he explained. From there, he met Gemma Bulos, a Filipino-American musician and teacher who also aimed for a clean water and proper sanitation. The two worked together to create ASDSW, with Lee giving talks and doing some trainings for the biosand filters. “It’s never the technology, it’s about the poeple,” Lee said during the interview with the BusinessMirror, citing the importance of understanding the current situation and problem of the community. In one of their projects in Nueva Vizcaya, the community already has springwater developments and distribution systems, but locals were still tapping water from undeveloped springs. “We have to build the capacity to design things correctly, implement things correctly; but we also have to take responsibility for maintaining it and operating it,” Lee said. And overtime, the organization discovered that, while it is important to create solutions, it also has to create the demand for water and sanitation services to keep the clean water running. 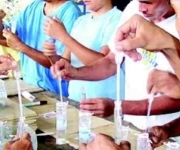 “The issue that people always say is that water is important, but when you implement and you ask people to pay for it they say, ‘walang pera’ [no money],” Lee lamented. “We have to make people understand that water and sanitation are important and should be a priority by our lives and the government.” ASDSW pushed locals and even the local governments that it worked with to understand the importance of prioritizing clean water and sanitation by investing in it and changing the behavior of the people. “You change your behavior the way you go to the toilet; you change your behavior to wash your hands,” Lee said. Working with the government provides challenges along the way. Lee had to provide a good example on how clean water and sanitation services can have good effects on the economy. “We discovered that for the most vulnerable families, the cost [for clean water and sanitation services] is equivalent to their 13th-month pay, and so the money that they would lose on medical cost, they won’t lose anymore,” Lee explained to the BusinessMirror. “And their lost opportunity cost to earn money is increased, and so this creates wealth,” he added. These reasons can actually start people to think and demand improved WaSH services from the government, as well as demanding responsibility from water-service providers. Lee comes from a country where water, sanitation and hygiene services exceed not just a basic human right but also a privilege. He emphasized that the key component in any program is to create demand. 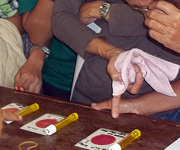 In most vulnerable communities in the Philippines, demand for these kind of services is low. The understanding of prevention of waterborne diseases, malnutrition and proper livelihood stems from proper WaSH services. This kind of mind-set leads to poverty alleviation. “We have to identify areas with sanitation problems, and the local government units must be the focal point,” Lee said. The importance of having the cooperation and collaboration in the municipal level is that community participation can be pushed. 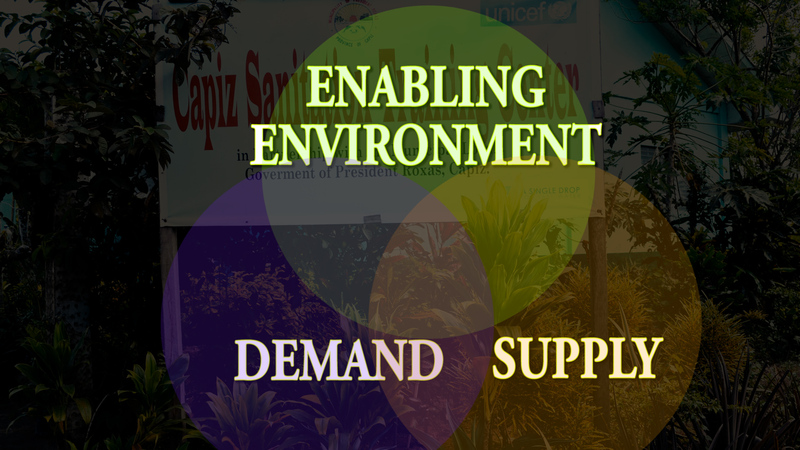 “If the LGU has the knowledge and the push, demand, supply and good governance intersect, and success is achieved.” Hence, a strategic plan-resource mobilization is needed. Behavior change is needed, particularly when it comes to sanitation, which relates to health and economic impact. “Many people in most vulnerable communities have very limited amount of money, and they have to decide on what they should invest and without understanding the economic impact of not having a toilet, they chose to spend it on other things,” Lee said. Beyond the social issues, Lee, through ASDSW, also sees that people would not only address proper WaSH services but also take pride in that having a proper toilet, which goes a long way in terms of people’s confidence and pride in their homes. As Lee stays in the Philippines, the work for ASDSW continues. The organization itself has come a long way since 2006. In 2009 ASDSW partnered with Oxfam and other local organizations, where it entered the humanitarian response industry. In 2011, right after Typhoon Sendong devastating the city of Cagayan de Oro, ASDSW included high-profile WaSH interventions, such as designing, building and operating sludge disposal plants.